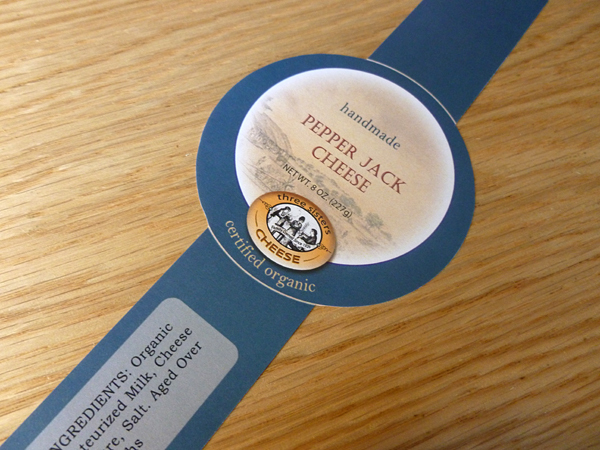 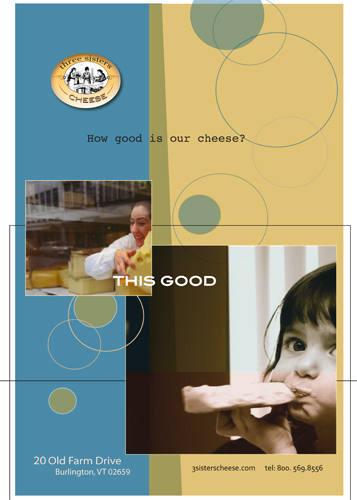 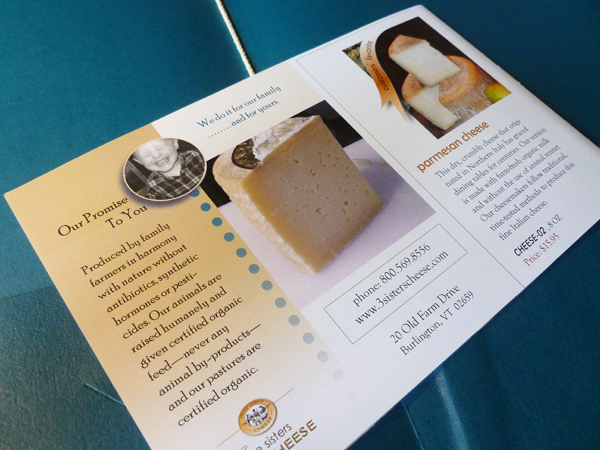 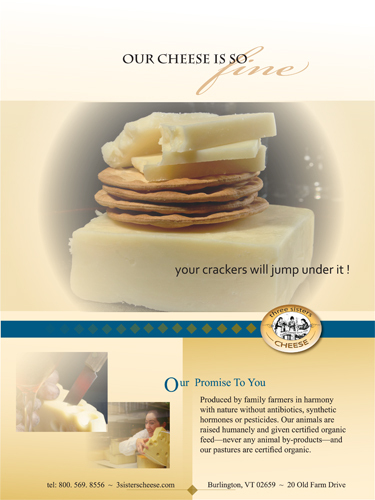 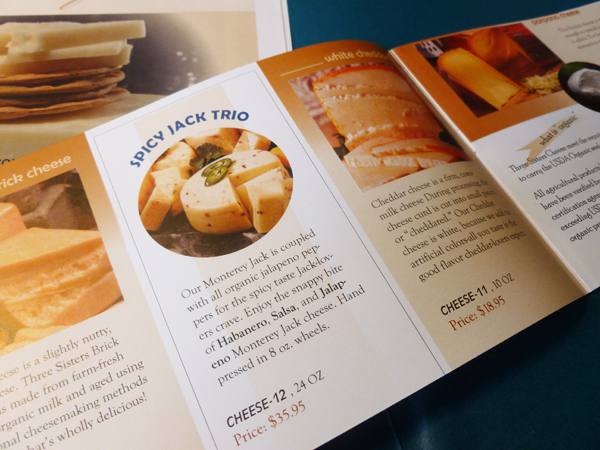 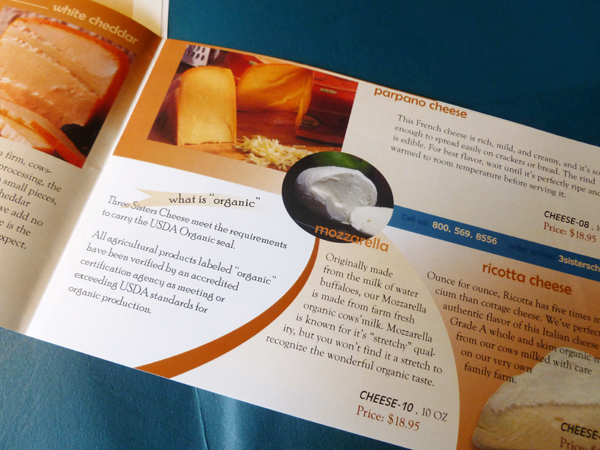 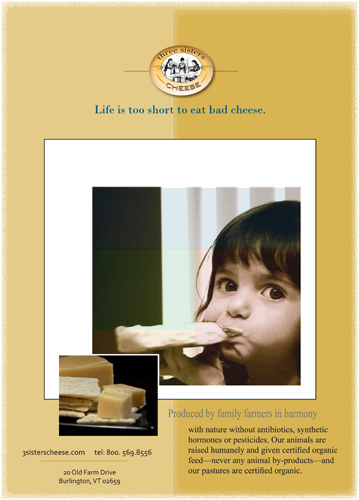 THREE SISTER’S CHEESE is a small business making delicious, organic cheese in Vermont. 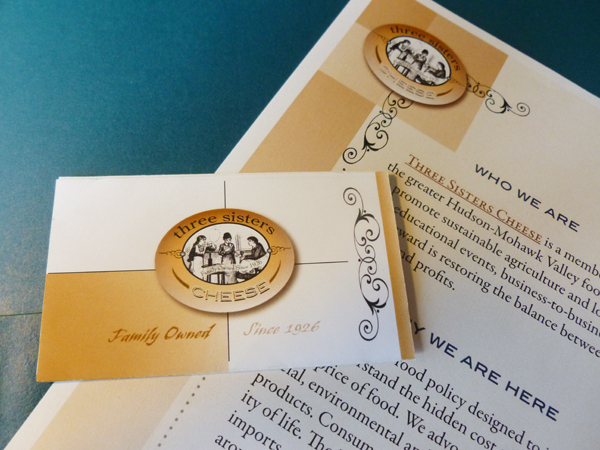 They received a full branding package from me. 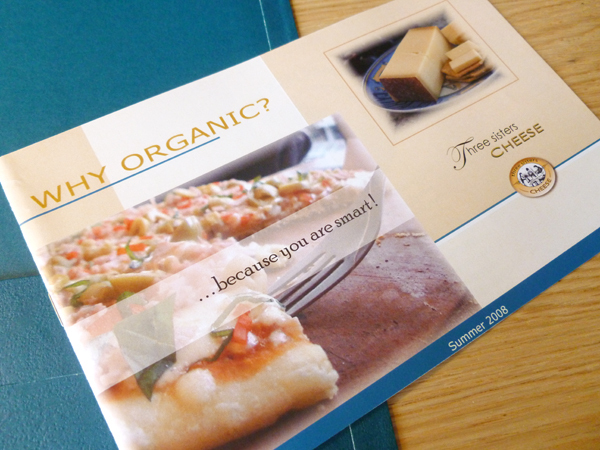 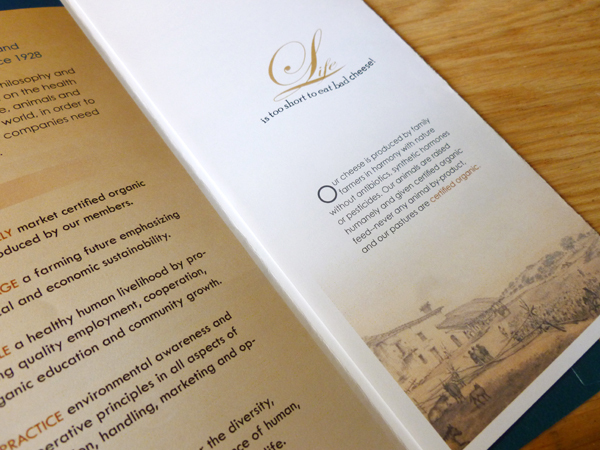 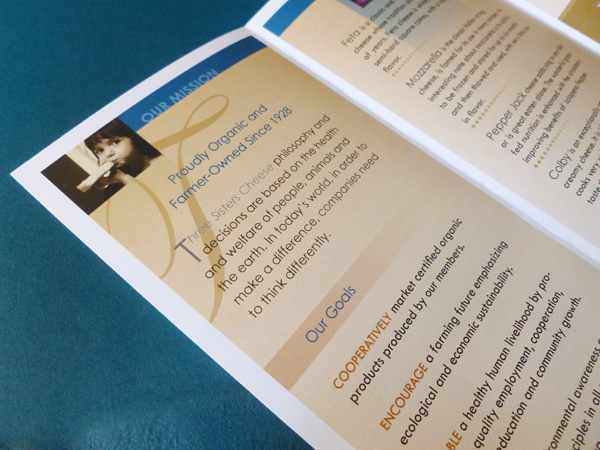 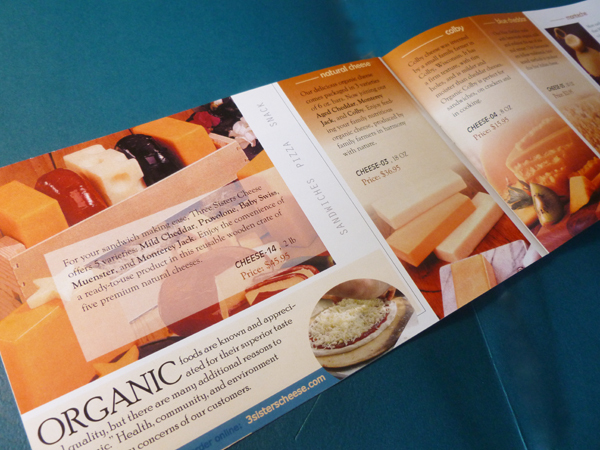 I designed their logo, b-card, brochure, catalog, a few ads and packaging.